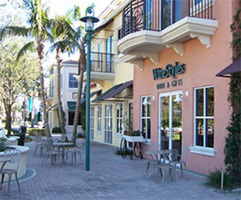 WineStyles franchise business opportunity. Free WineStyles business franchise information. Wines are conveniently organized by "taste styles" and are accompanied by a point-of-sale card that offers at-a-glance information. We locate our WineStyles stores in areas with a large concentration of educated, over 40 year olds with high discretionary household income. Once you find a location we will assist you in your store layout, construction and ordering of equipment and inventory. We offer a turn-key operation where we will assist you every step along the way to cultivate your business. Once a site has been selected, our initial and ongoing support covers build out, the point-of-sale system, inventory, full operational training, and grand opening preparations. For an extra competitive edge, we even provide our franchisees with a wine education course and the opportunity for hands-on training in an existing store. Our training program begins with the WineStyles training team. You will feel their enthusiasm and appreciate their experience in the retail wine industry. Your training will include an overview of the wine industry, on-site wine tasting, marketing and advertising, store operations, merchandising, customer service procedures, and management techniques, together with inventory, cost accounting, and general business procedures. Your initial training will help you become proficient in all phases of operating a retail wine store. The importance of proper training cannot be over emphasized and is essential to your success. The WineStyles staff and our Area Developers will be at your location to assist you in set up, in store training, opening your store and will continue to support you throughout your WineStyles franchise ownership. At WineStyles we approach marketing from both a national and a local perspective. Each WineStyles franchisee contributes to a national marketing fund that provides a consolidated marketing and branding effort. These plans will include grand openings, direct mail programs, newsletters, e-commerce, charity events, wine tastings and many other local and national marketing vehicles including online sales via your own store website. 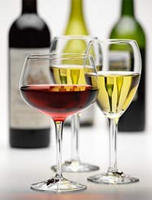 By using the purchasing power of multiple franchisees and the incredible future growth potential for WineStyles we have negotiated significantly discounted national contracts with wineries, distributors and manufacturers of wine related products and accessories. WineStyles utilizes a company-wide communication intranet system that enables all of us to communicate with each other. We are dedicated to staying in touch with each Franchisee, Area Developer, Employee and Vendor associated with WineStyles. We want to provide up-to-date information that is easily accessible at your fingertips. We are looking for qualified candidates to join the expertise of the WineStyles team, which has been combined to provide an extraordinary and unequaled system by which to grow and prosper. To learn more about the WineStyles Wine franchise opportunity, simply complete the form below.